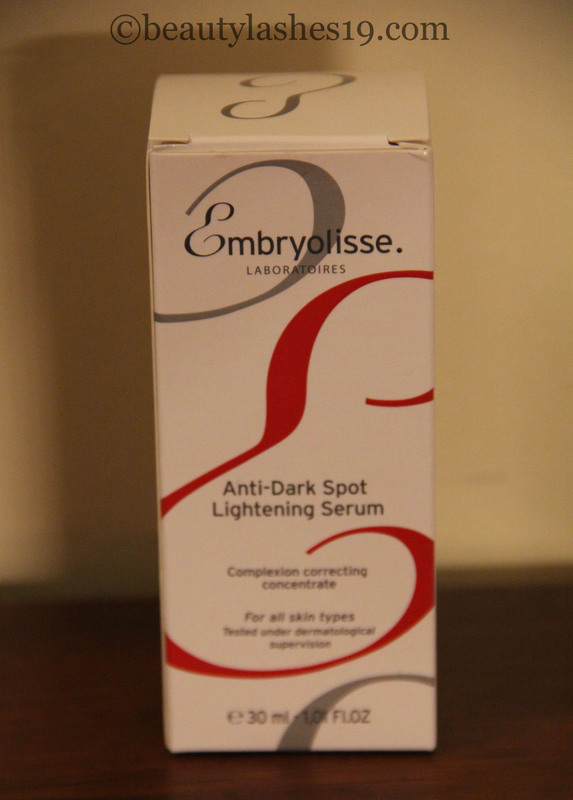 Embryolisse Anti-Dark Spot Lightening serum..
Embryolisse Anti-Dark Spot Lightening serum is an intensive dual action concentrate with anti dark spot actives that exfoliate and lighten the skin, prevent and fade existing accumulations… Fluid, non-greasy texture penetrates quickly and wafts a delicate floral aroma… It is recommended to use morning and evening under face cream all over face, neckline and hands.. especially on pigmented areas… I would typically only apply it to the troublesome areas on my face – this also prolongs the use of the product..
Exfoliating action: Cell renewal is stimulated by AHA, glycolic acid that comes from sugar cane, and lactic acid from milk and red berries. AHA molecules seep in between dead skin cells of the corneous layer to peel them away and favor their elimination. They stimulate the production of young, hydrated skin cells. Melanin is more evenly distributed and pigment imperfections are diminished for a more evened out complexion. The packaging is very simple and straight forward… The serum comes in a white opaque plastic container with a airless pump.. This prevents the serum from going bad.. The serum is a clear gel with no particular smell and is paraben-free… It is absorbed easily onto the skin and I don’t feel the need for another moisturizer in the warmer months.. 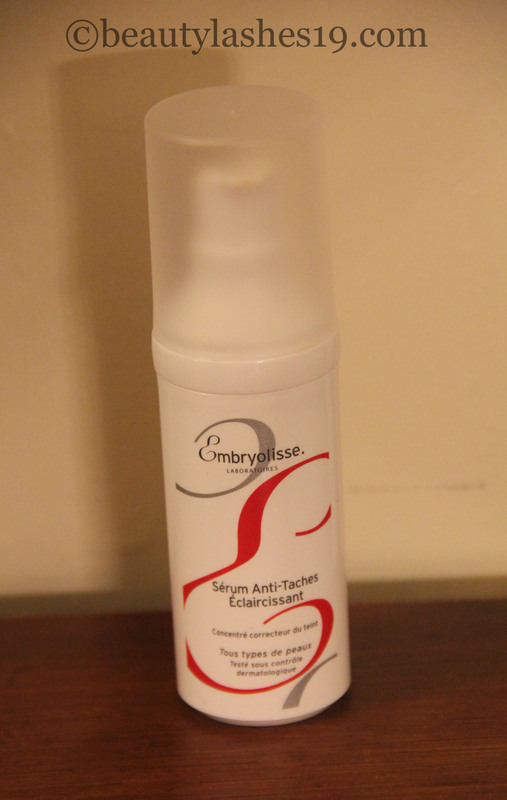 However, as the temps have dropped, I have noticed that I do need my Embryolisse moisturizer to take care of the drier areas of my face.. The serum acts preventative against dark spots and for existing dark spots… It leaves the skin completely moisturized, infinitely soft and smooth, texture is even and tightened, and dark spots are visibly diminished: they fade and decrease in size.. I surely saw a decrease in the pigmentation in my acne scars / spots over a couple of months and found that my skin had a youthful glow to it.. Overall, it is a good product that stands up to its claims..